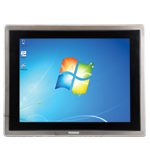 The RC6700 includes all-in-one 15” panel PCs with superior performance and highly ruggedized design. The RC6700 is powered by high-performance and low power consumption Intel® embedded processor in fan-less, industrial-grade, high bright LCD flat touch screen panels. Primarily designed for volatile and harsh environments, the powerful and reliable industrial grade RC6000 series is perfect for any production floor or field. With the RC6700, there is no need for special measures such as complex and expensive enclosures or additional certification processes. The RC6700 is designed to reduce your maintenance costs, with the slim all-in-one, fan-less design, powered by high-performance and low power consumption embedded processors.